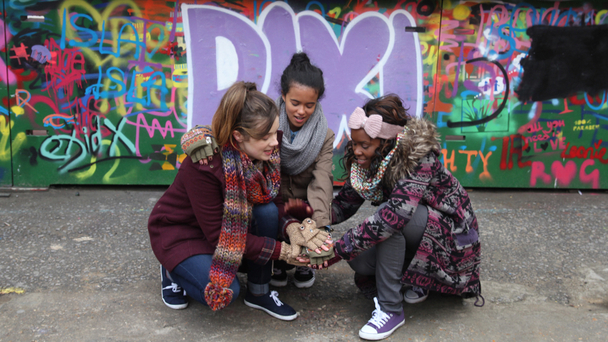 Check out CBBC’s brand new online drama – Dixi! A brand new online series has just started on CBBC called Dixi that fans of YouTube blogs will love. The episodes are kind of like YouTuber videos and star a girl called Shari whose entire life is on a social site called Dixi. From chatting to friends, sharing pictures and posting funny vlogs – Dixi is her life. That’s until her page is defaced, her password changed and she is locked out. It seems like the end of the world to Shari, but along with her friends, she sets out to discover who hacked Dixi and ruined her profile. It’s also really easy for you to join in and help out with Shari’s search. Search around Dixi for clues and then chip in with your ideas on who’s to blame. There will be brand new episodes before and after school, Monday to Friday. Click here to watch the episodes! Have you watched any Dixi yet? Tell us what you thought in the comment box below.